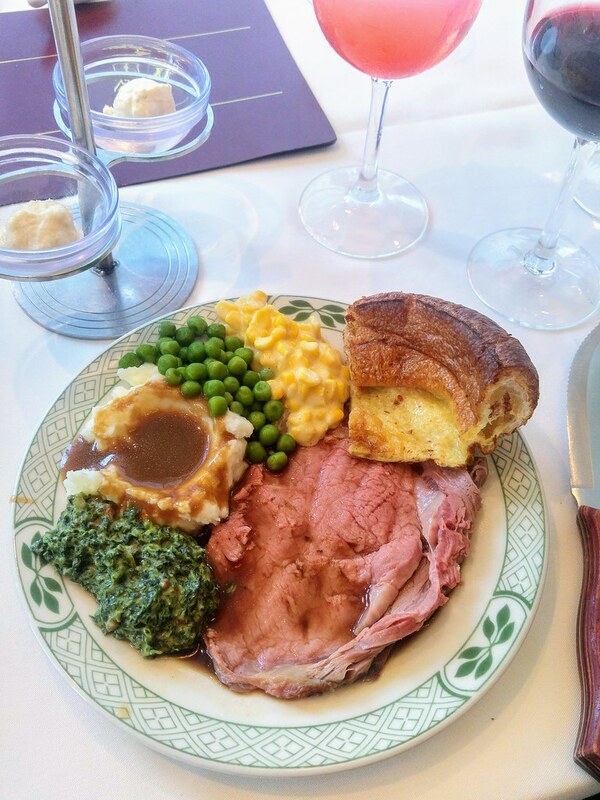 Lawry's The Prime Rib at Mandarin Gallery sets itself apart with an air of opulence that very few could emulate. This Valentine's Day, treat your partner to a lavish 6-course dinner at Lawry's which includes their authentic Signature Prime Rib of Beef. The Valentine's menu is crafted by Executive Chef Sherwin Sim, choosing ingredients based on their sensual qualities, texture, colour and libido enhancing compounds to get you in the mood for love on that very special night. 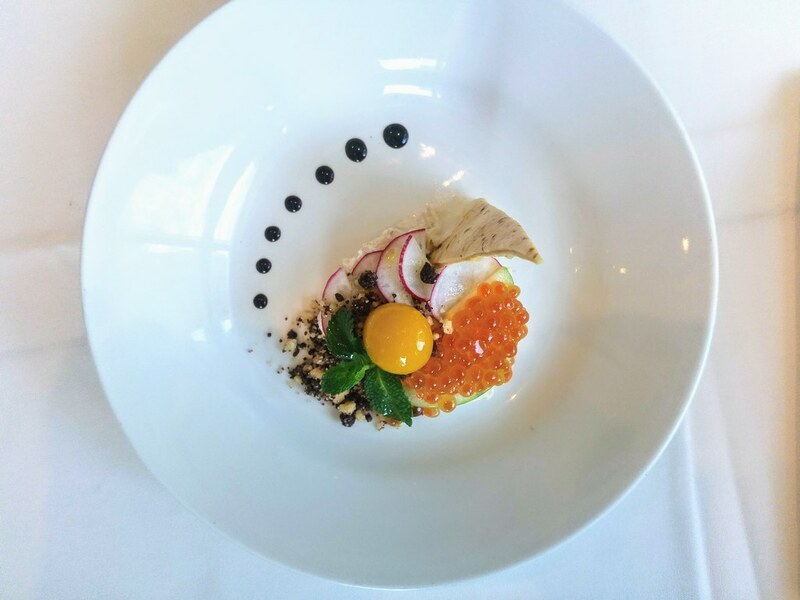 Our Amuse Bouche for example, is made of petite yummy aphrodisiacs - Foie Gras Macaron, Grilled Spanish Octopus and Smoked Salmon with Avruga Caviar. My favourite is the smoked salmon bite which has a bed of sweet caramalised onions to complement the overall briny flavour. I love the idea behind the foie gras macaron that comes with savoury foie gras cream sandwiched between sweet meringue cookies but its sweetness was a little overwhelming. 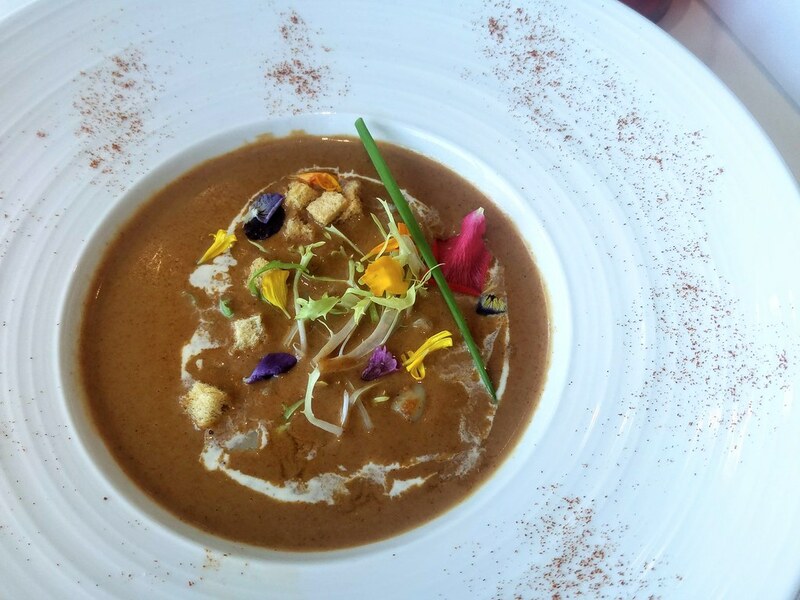 For Soup, on the menu is Lobster Bisque served with Hokkaido scallop, enhanced with a drizzle of Grand Marnier. Intense with umami roundness, it was perfect after a round of sweet-savoury amuse bouche and I appreciate that it wasn't overloaded with cream, which would have added a dimension of sweetness to it. Although the classic Spinning Bowl Salad is missing in action, what replaces does not disappoint. The Dungeness Crab Salad was scrumptious with lovely sweet bites from the crab meat, coupled with crunchy green apple slices and bursts of saltiness from ikura. What delighted us all was the egg yolk looking mango sphere, which oozes mango lava that dresses the salad with tangy sweetness. 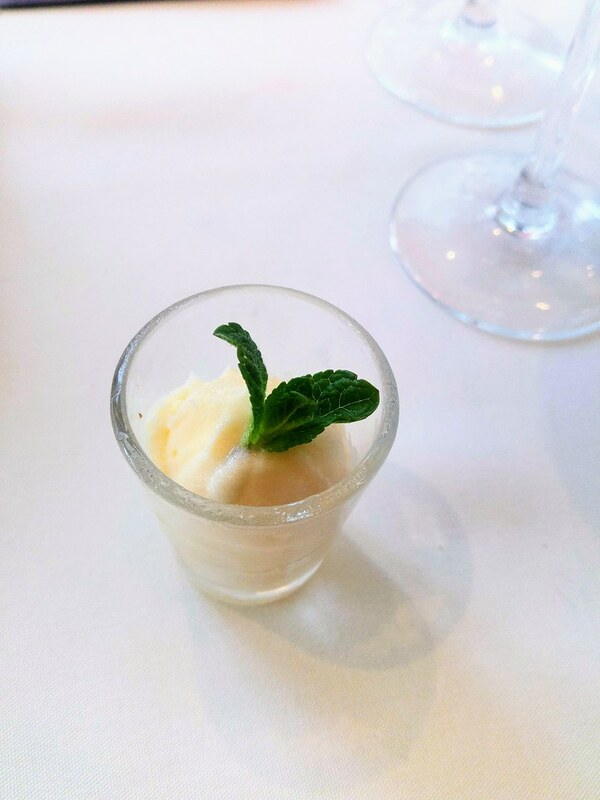 A refreshing Yuzu Sorbet with mint will be served in between as a palate cleanser. For mains, there is a choice between their Signature Prime Rib of Beef and a luxury Seafood Platter. 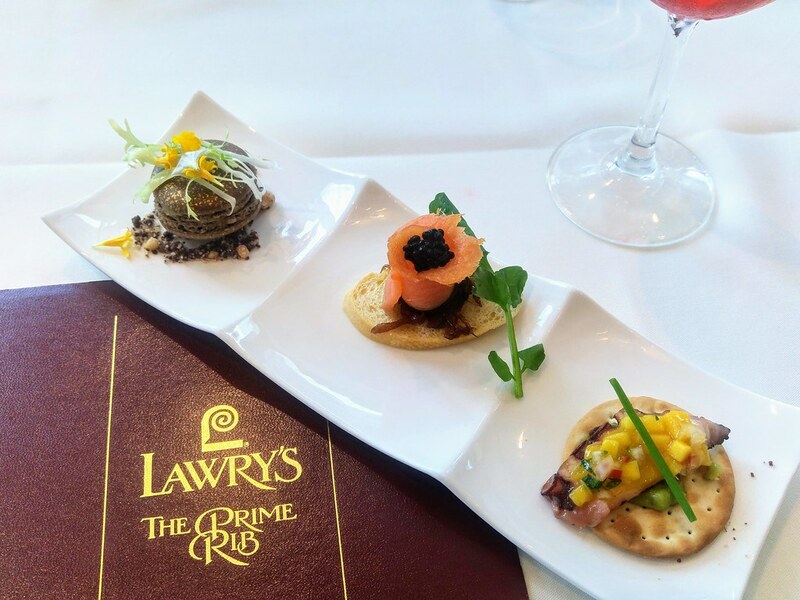 For a complete Lawry's experience, the first is an obvious choice but the latter speaks volume too. What makes Lawry's Prime Ribs that superior is that each standing roast is aged for up to 28 days to heighten tenderness and slowly roasted on beds of rock salt, a method that forces the juices inward, resulting in an uniformly juicy and flavourful meat. 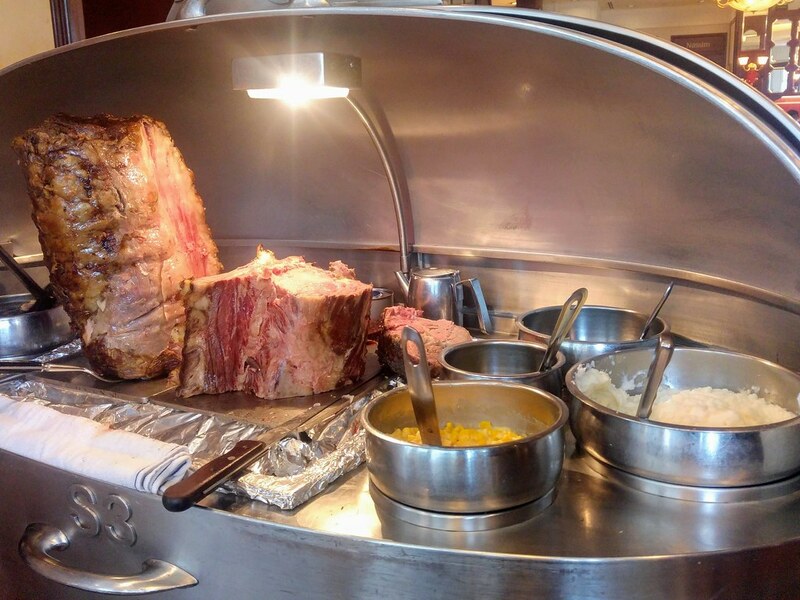 Witness its grandeur as your portion gets carved from the famous silver carts right in front of you. 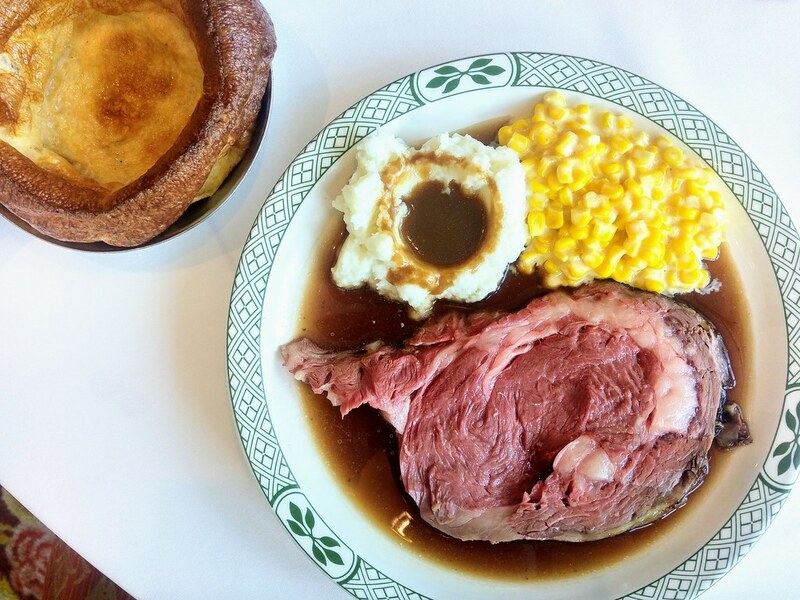 The traditional Lawry’s Yorkshire Pudding served alongside is baked in individual copper skillet. Accompanying your USDA Prime Rib of Beef is US Idaho mashed potatoes, together with choice of creamed spinach, creamed orn or buttered peas. 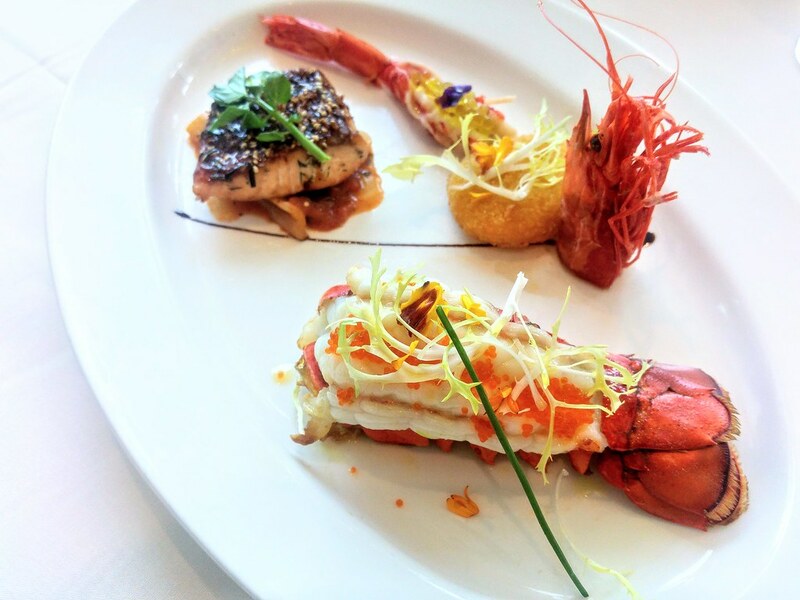 The Seafood Platter consist of a Baked Cajun Lobster Tail with Tobiko, Miso Salmon Steak and Carabinero Prawn with Arbequina and a Corn Croquette. I thought both the prawn and lobster tail were beautifully done - just simple treatments to bring out their textures and flavours. That humble piece of corn croquette was unexpectedly a treat! The creamy corn within the crust was oozy and sweet which brought the savoury elements together as a whole. 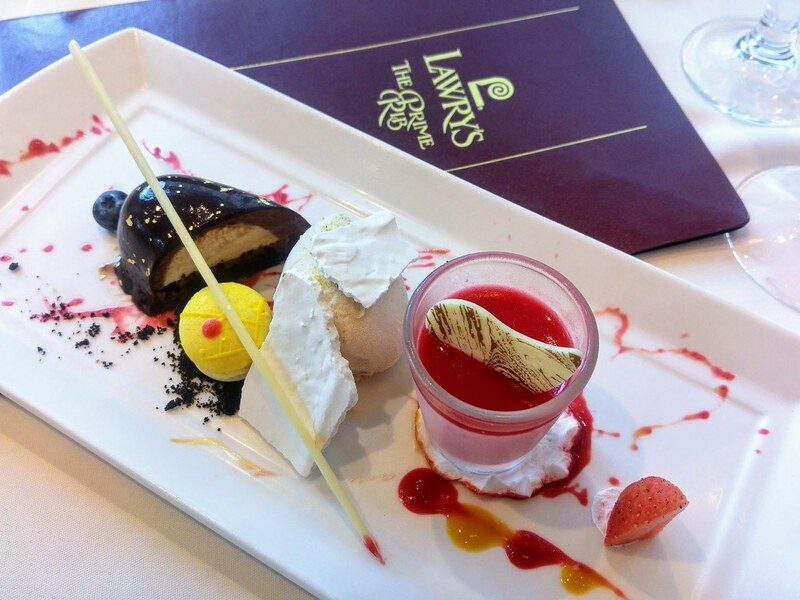 Before moving on perhaps more important programs of the night, your evening shall come to a satisfying sweet pause with Sweetheart Specials - Te Amo, a dessert platter made of Manjari Chocolate Praline Dome, Häagen-Dazs Tiramisu Mochi Ice-cream and Strawberry Mousse. It did seem to be quite a big platter to end the meal but it turned out to be manageable. The chocolate dome was bitter sweet and the ice cream was pretty light too. 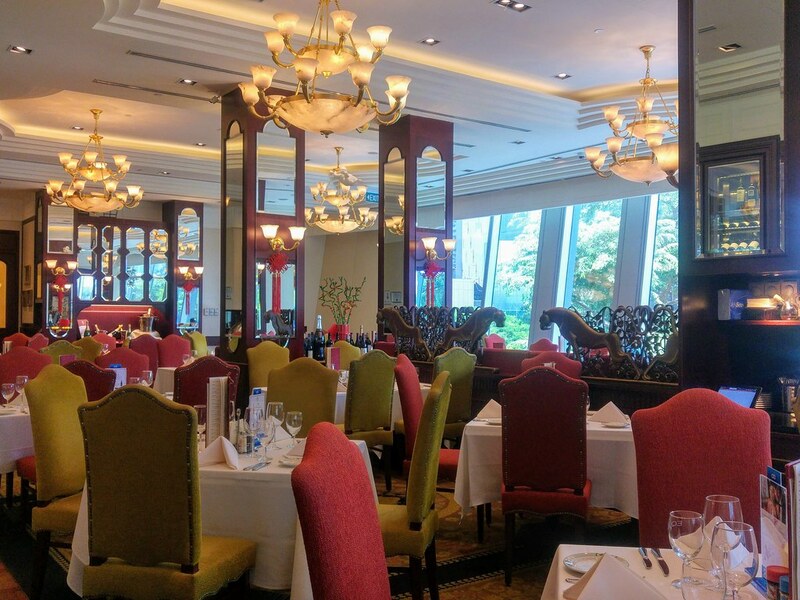 Choices aplenty in Singapore but what is cool about dining at Lawry’s The Prime Rib on that day is the old-fashioned romance that builds around the evening. This 6-course Valentine's menu will only be served for dinner at Lawry’s The Prime Rib Singapore on 14 February for $188 per person. You and your partner will receive a bottle of sparkling wine (Ruffino Moscato d’Asti) as memento as well as a complimentary digital photo.